than enough to pin up good expectations on the movie. smartly placed punch dialogues, which work out pretty well. thrill factor throughout the film. Ashokan, Babu Antony, Suraj Venjaramoodu, Sudev Nair etc., in lead roles. elements. But again Nivin Pauly were seen average performer on the Mass dialogues. 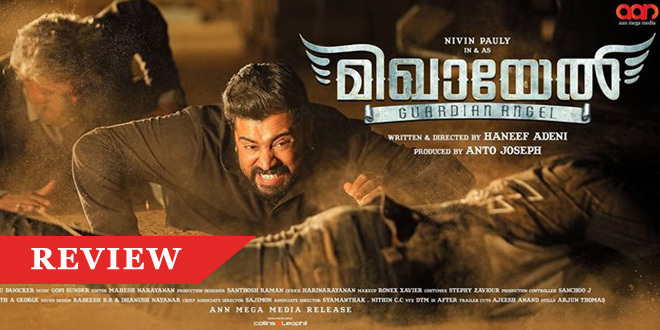 Box Office : As the duo Nivin Pauly and Unni Mukundan have good fan following as well as in-addition Haneef Adeni's previous two super hits also will be a positive factor for Mikhael's good theater run. Expected to be the top runner of 2019 as far released.